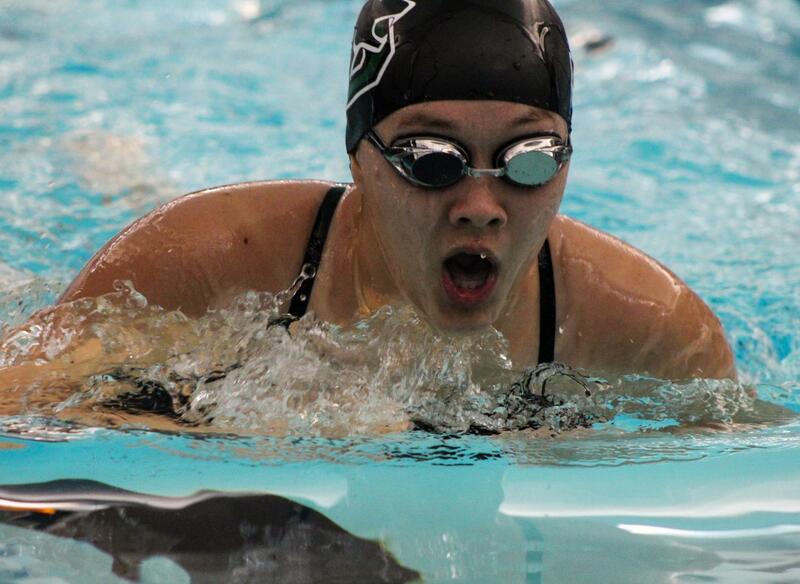 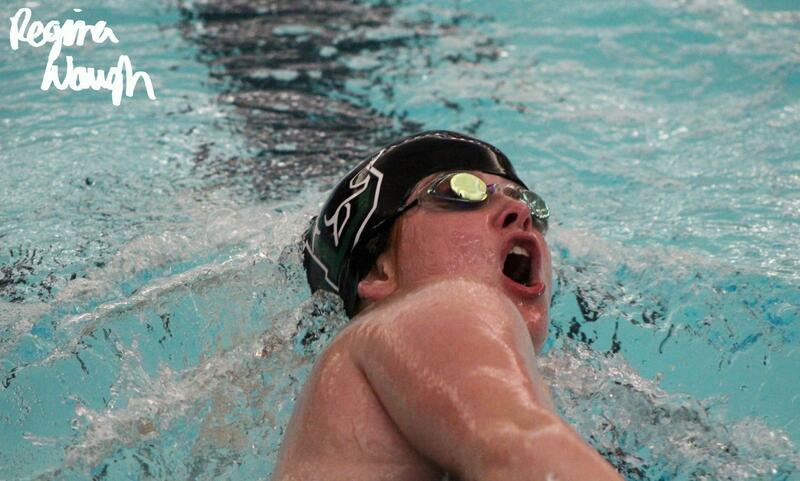 Junior Ashley Lindstrom swims breaststroke at the Salina swim meet. 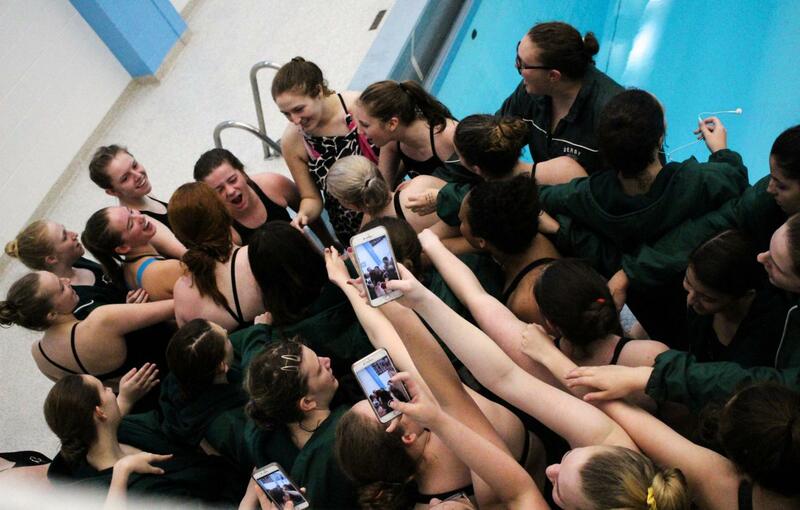 The girls swim teams says their chant before the meet starts. 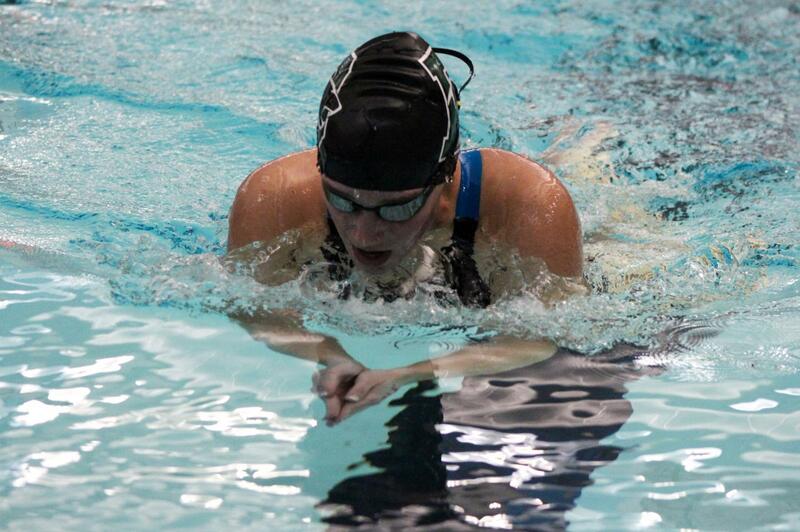 Sophomore Breanna Mehringer swims backstroke. 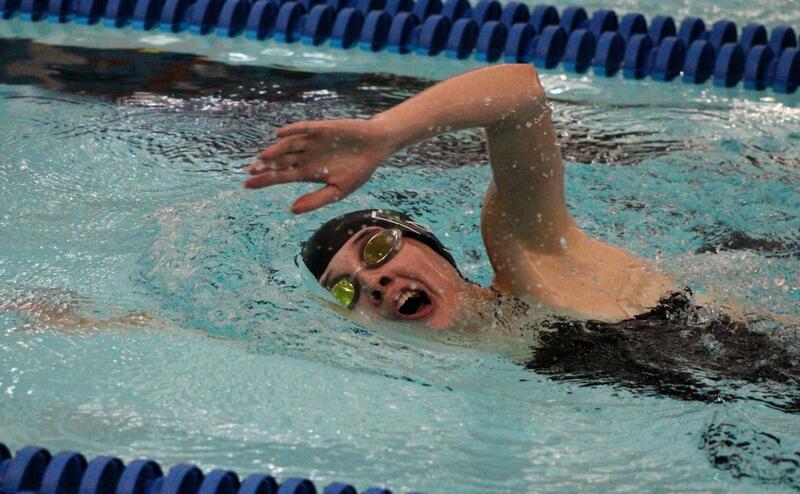 Freshman Sophia Digregorio swims butterfly. 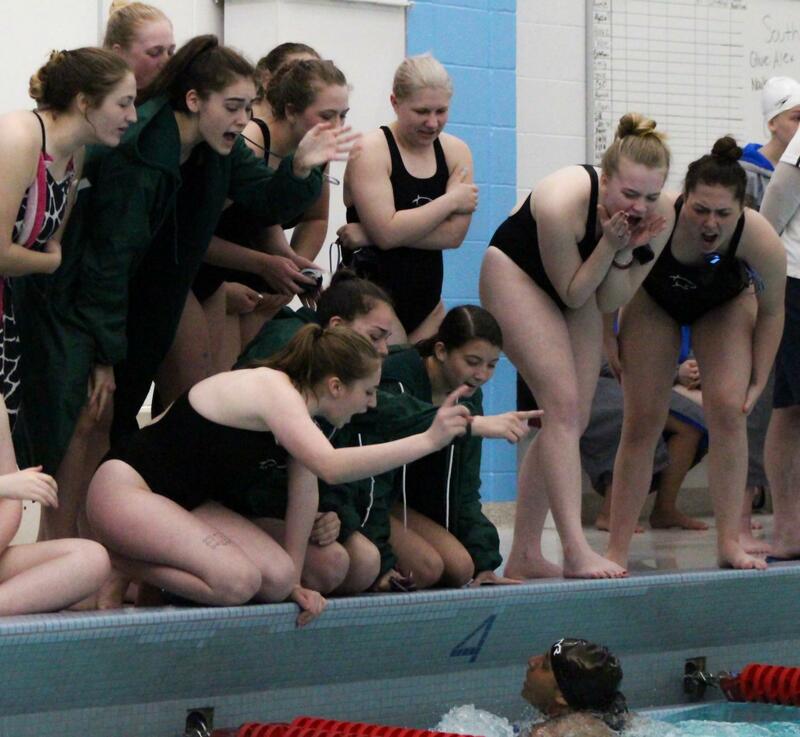 The girls swim team cheers on teammate Heily Monge during her 100 yard breaststroke. 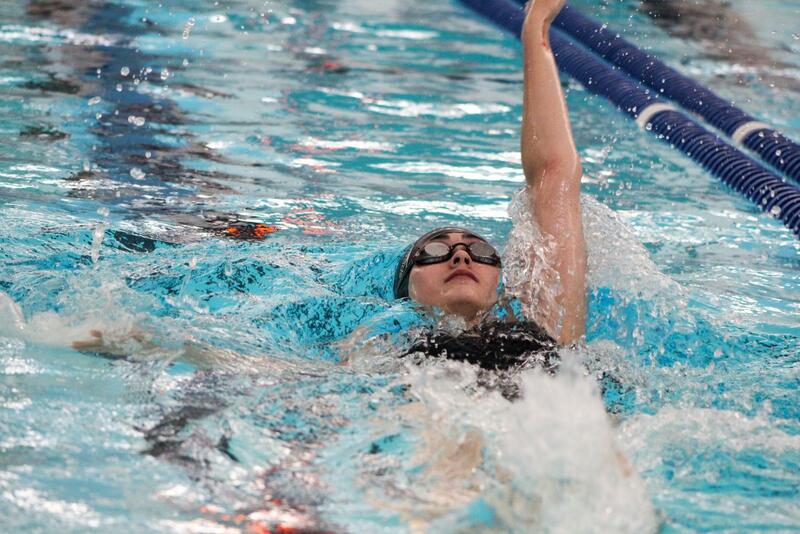 Junior Torrie Dutcher pulling her arms in while swimming breaststroke. 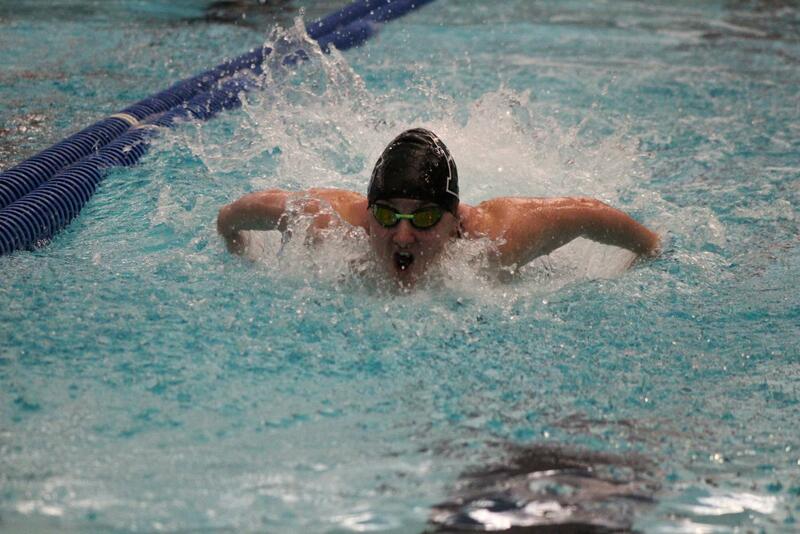 Junior Promise Asher breathes while swimming freestyle. 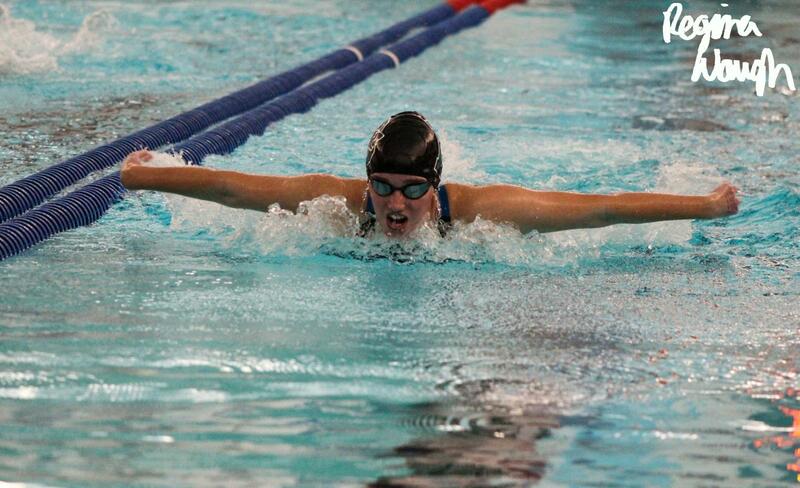 Junior Torrie Dutcher swimming butterfly. 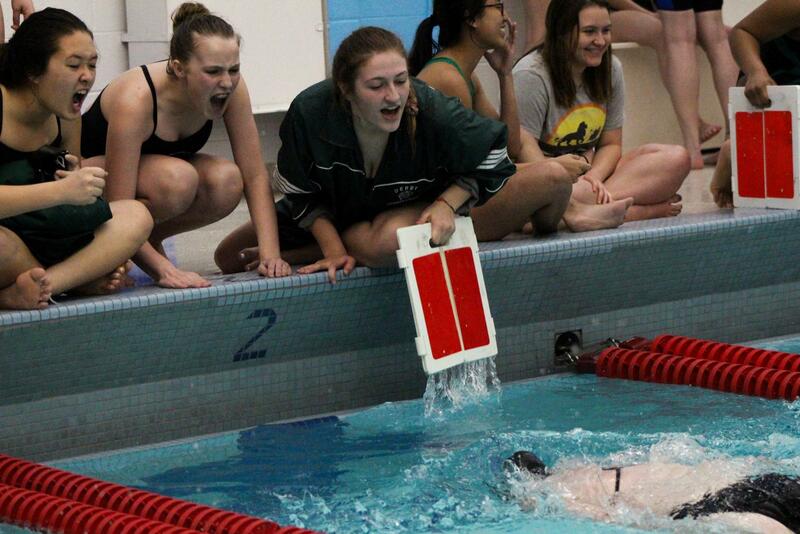 Sophomores Rachel Dworak, Addi Karsak and Breanna Mehringer cheer on sophomore Allison Mehringer as she swims a 500 yard freestyle. 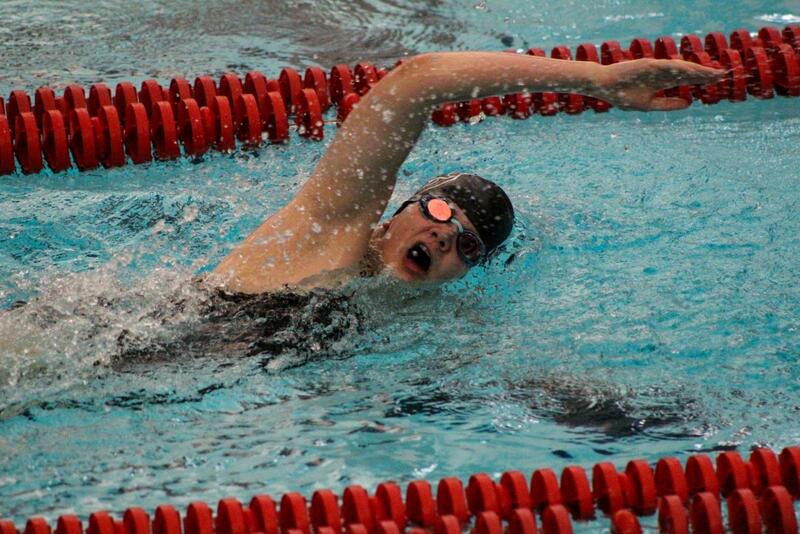 Sophomore Jessica Keasey swimming freestyle. 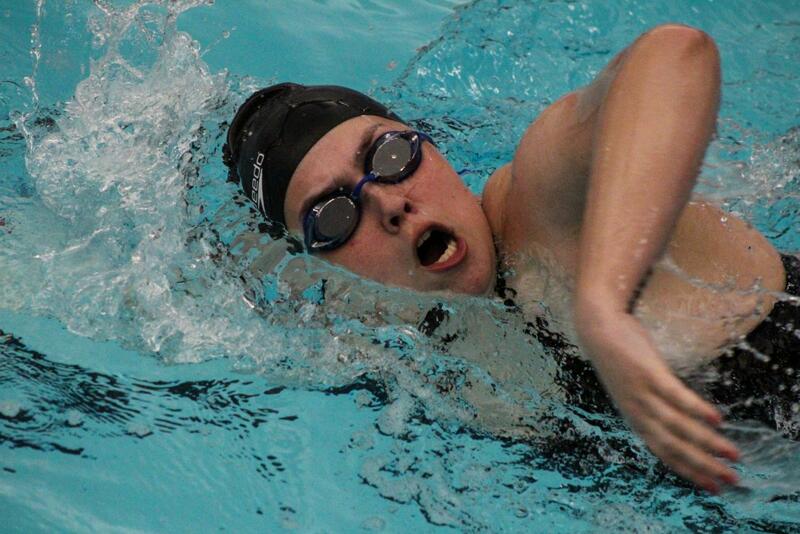 Freshman Alexis Pitts swims backstroke. Sophomore Rachel Dworak breathes while swimming breaststroke. 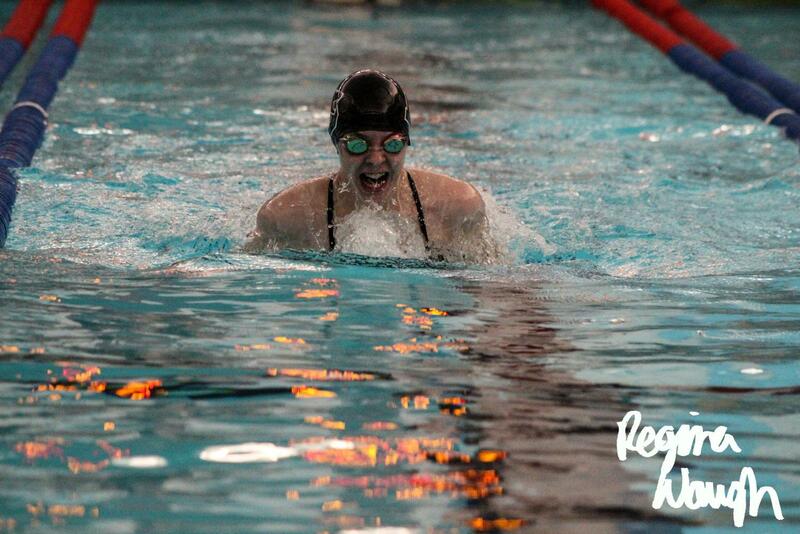 Freshman Gabriella Celani swimming freestyle. 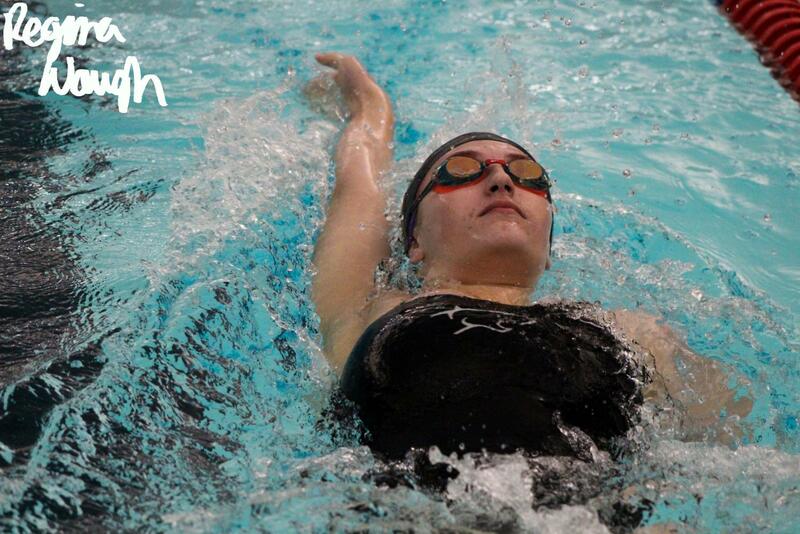 Sophomore Lily Vincent swimming freestyle. 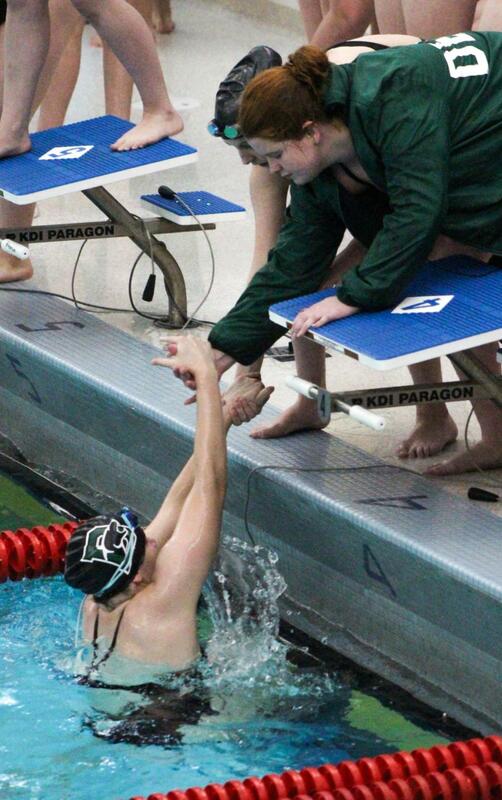 Junior Promise Asher helps sophomore Lily Vincent out of the pool after swimming. 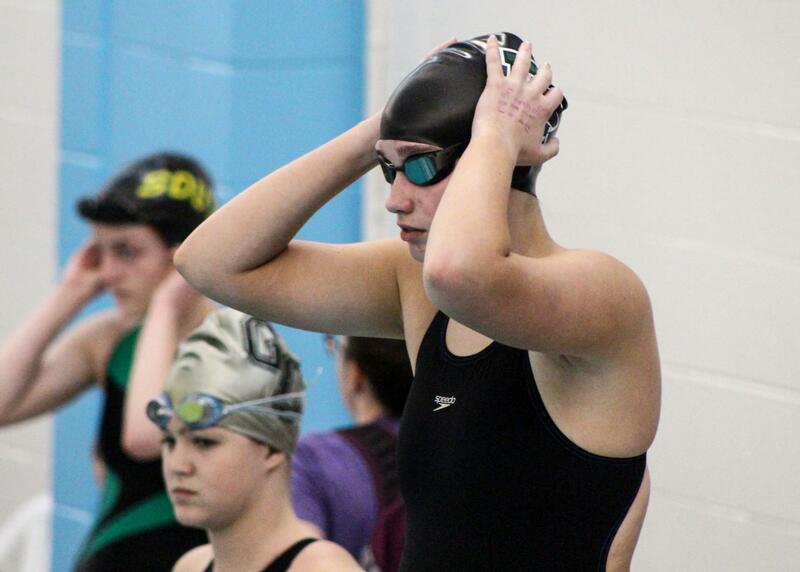 Junior Torrie Dutcher adjusts her swim cap while waiting to for the signal to take her mark on the diving block.